Thanks so much to all our participants, presenters, vendors, sponsors and volunteers for making First Event 2019 a huge success! We experienced record breaking attendance with just over 1,000 total participants and we’ve received lots of positive and helpful feedback. Each of you made it possible for us to help others, build community and support each other! Please follow us on our parent site, tcne.org, Instagram, Twitter, or Facebook or join our email list for information about First Event 2020! 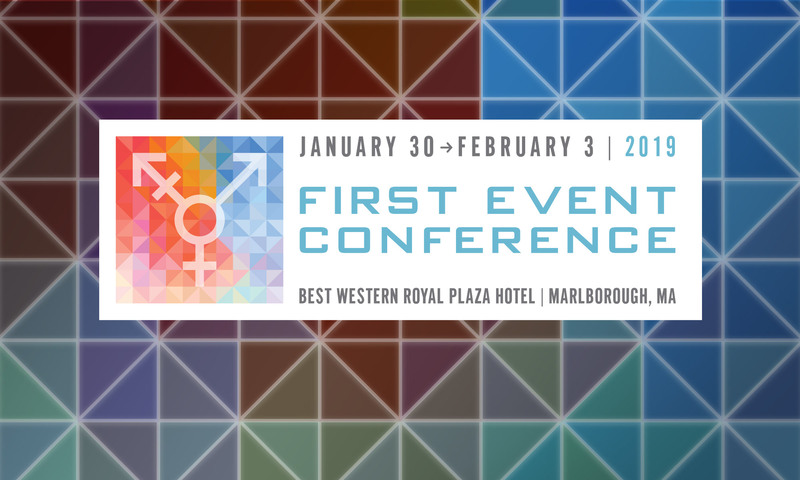 Sponsoring First Event Conference gives incredible direct reach into the transgender community, with extensive opportunities for promotion throughout the 5-day conference. First Event Conference is presented by Trans Club of New England (TCNE), a registered 501(c)(3) non-profit. To learn more about sponsorship opportunities, please email us at info@firstevent.org. CeCe is a transgender activist and revered icon of the LGBTQ community. She captured international recognition in 2011 after surviving a white supremacist and transphobic attack, later receiving a second-degree manslaughter conviction and serving 19 months in prison simply for defending herself. She has been profiled in Mother Jones, Ebony.com, and Rolling Stone, the latter praising her as “an LGBT folk hero for her story of survival – and for the price she paid for fighting back.” In 2014, The Advocate included her among its annual “40 Under 40” list. That same year, she received the Bayard Rustin Civil Rights Award by the Harvey Milk LGBT Democratic Club. She is the subject of the acclaimed documentary, “FREE CeCe,” produced by transgender actress Laverne Cox. Since her release, she has graced stages across the country where she uses storytelling to articulate the personal and political implications of being both black and trans. As one of the founders of the Black Excellence Collective and Black Excellence Tour, created with best friend Joshua Allen, she fosters important conversations around mass incarceration, sexuality, and violence. With energy and conviction, she highlights the hope she now fights for – that all LGBTQ people can live their lives free of hate and prejudice and confidently pursue their dreams without fear. CeCe McDonald will be delivering the First Event conference keynote during the Frances J. Cardullo Banquet on the evening of February 2, 2019. Her talk is titled Be The Change, See The Change: A Guide to Operating in Solidarity. Diana Styles on What’s new at First Event 2019? Michelle Hirsch on What’s new at First Event 2019? Trace Ellis on What’s new at First Event 2019?